Start by opening the Arduino IDE. 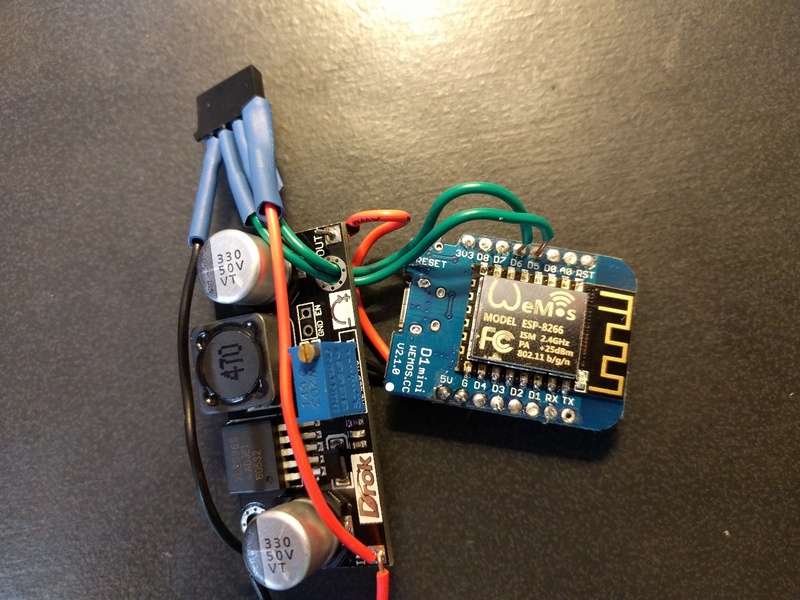 Included in the ESP8266-LPD6803 library is an example called “wifistrand” which we’ll use to program the D1 Mini in order to control the LED strip. The sketch can be found here, or in the Arduino IDE from File -> Examples -> ESP8266 LPD6803 -> wifistrand. Before uploading, make sure to change the #define N to the correct number of LEDs you will have in your strip. Don’t worry too much though, since MRPC supports OTA updates, if you get it wrong at first you can upload over WiFi later. These services are compatibile with the Enlight app, but there is also room for custom services. The LPD6803 chipset supports individual addressing of the LEDs in the strip, so it could also be possible to add some animations and expose a service to play them. 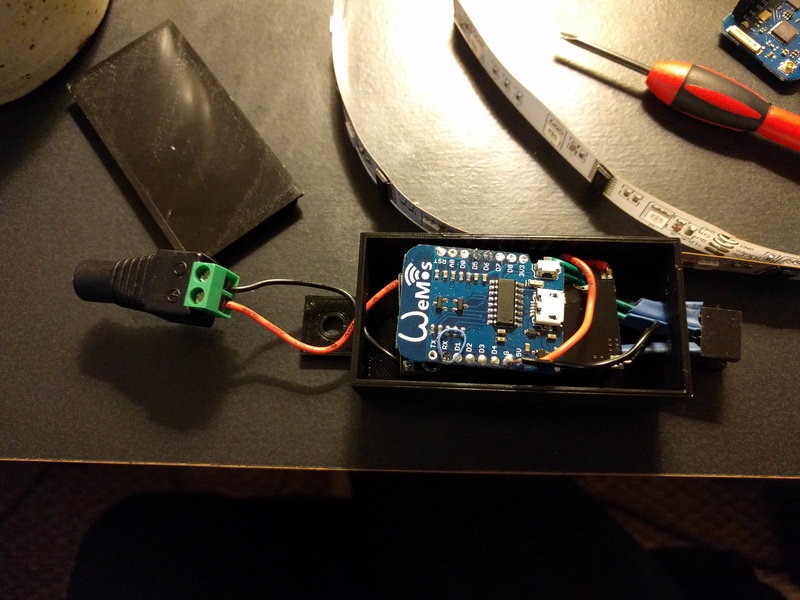 At any rate, you can upload the sketch by connecting the D1 Mini to your computer with USB, selecting the correct serial device in the Tools -> Port menu, choosing Tools -> Board -> Wemos D1 R2 & mini, and clicking the upload button. 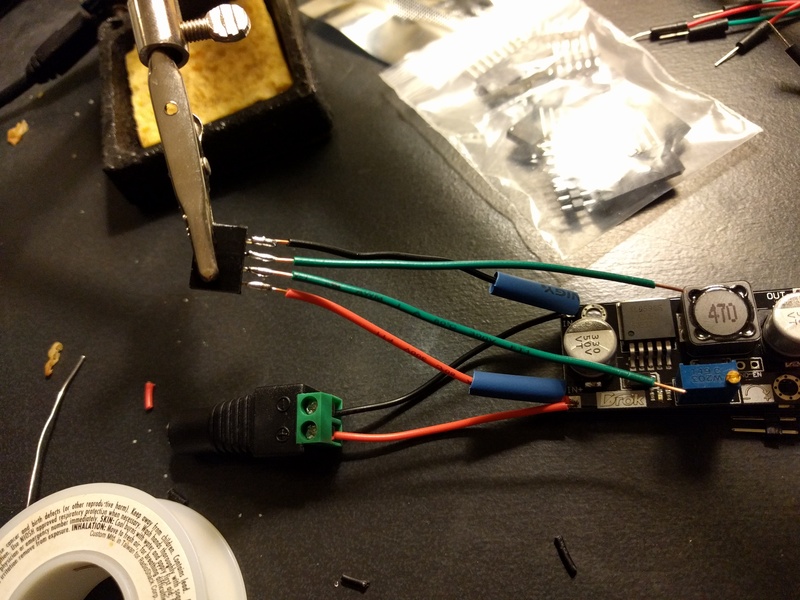 Once the D1 Mini is programmed with MRPC, we’ll solder everything together. 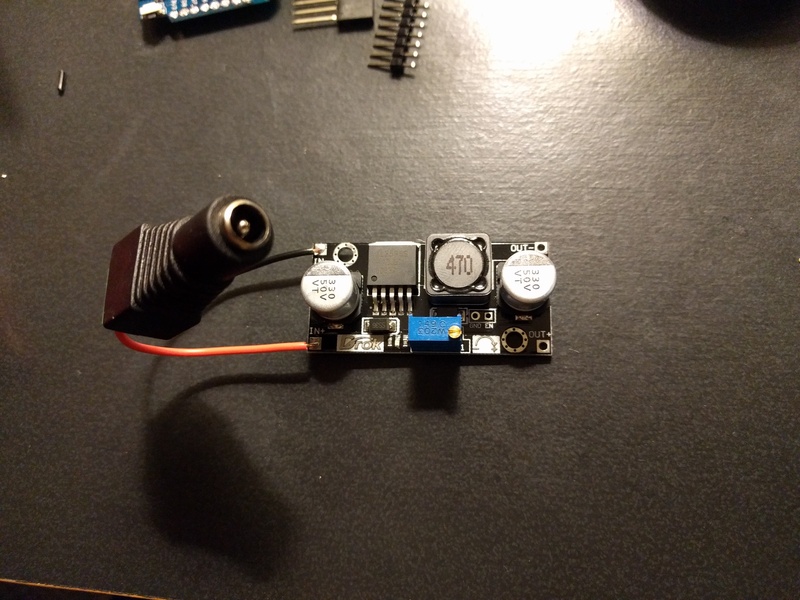 Start by connecting the DC jack to the input end of the buck converter. 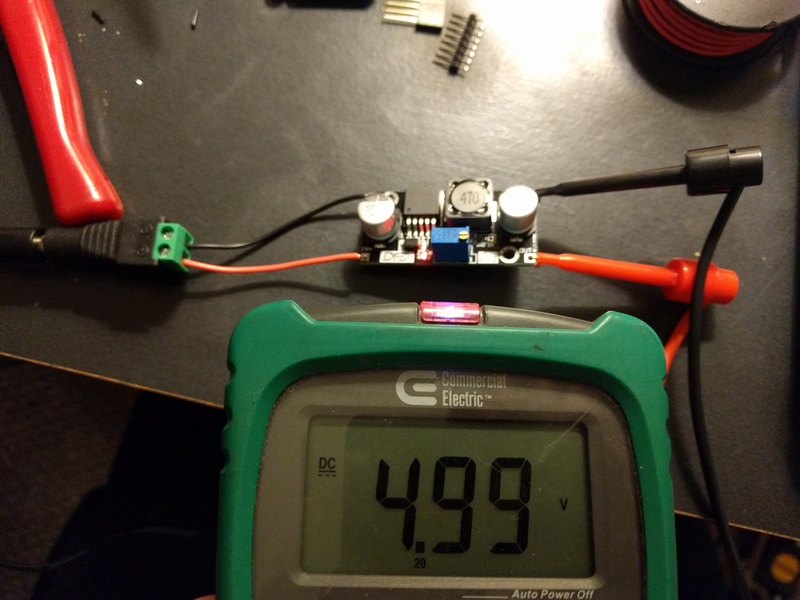 Before connecting anything else, adjust the buck converter to 5V by screwing the potentiometer counter-clockwise until the output voltage is 5V. 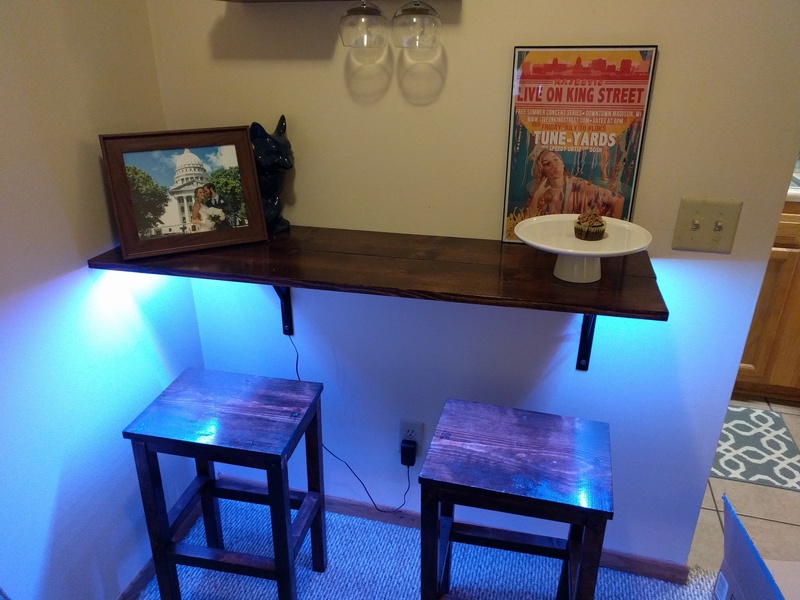 Next we attach LED strip connector to the 12V and ground connections. I ended up making my own out of some pin headers, but usually the strips come with nicer connectors. If you make your own it’s a good idea to heat shrink the connections. Then we can start connecting the D1 Mini. 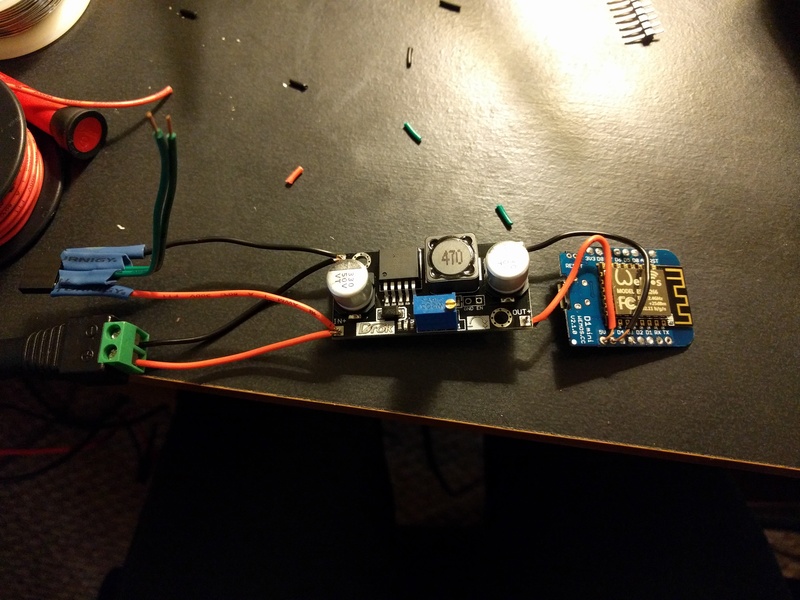 First connect the output of the buck converter to the 5V and Ground pins of the Wemos. Second connect the Data and Clock pins of the LED strip header to pins D6 and D5 respectively. If you can, 3D printing an enclosure is a good idea. Otherwise you can always buy one that is close in size. Finally plug everything in and verify it turns the LEDs on. After it’s plugged in, it should turn on and bring up an access point named MRPC XXXX which you can connect to. Browse to 192.168.1.1 and configure it to connect to your WiFi. 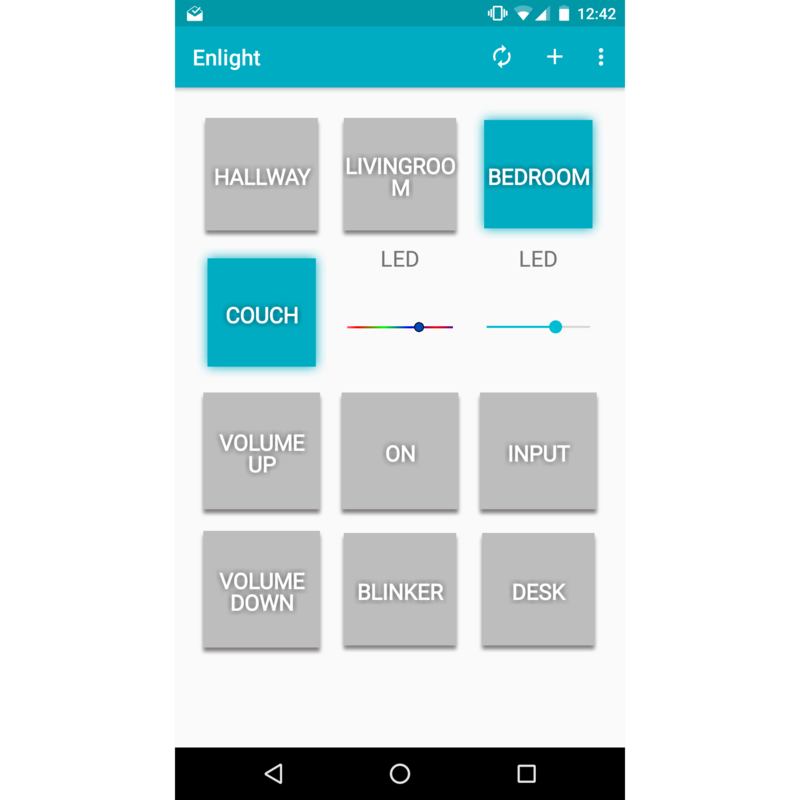 Once it connects you can control your LED strip using MRPC commands, or through the Enlight app.